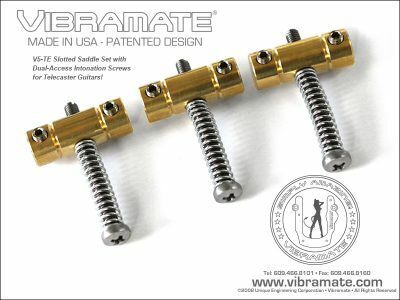 Now you can install a Bigsby B7 Vibrato on your arch top guitar without drilling any holes! 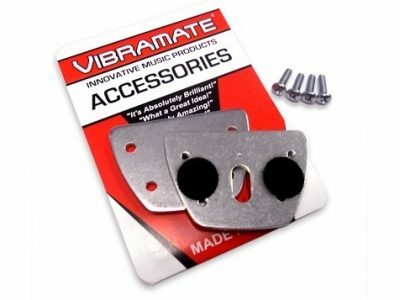 The Vibramate V7-335 Model Mounting Kit is designed for a Bigsby B7 Original Vibrato and will fit most Standard 335 Sized Arch Top guitars with Stop Tailpiece and Tune-O-Matic Bridge. 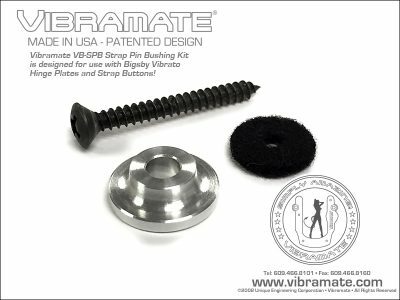 Vibramate V7-335 Kit includes the Vibramate V7 mounting plate with felt-pads on the bottom for a soft touch to the top of your guitar. 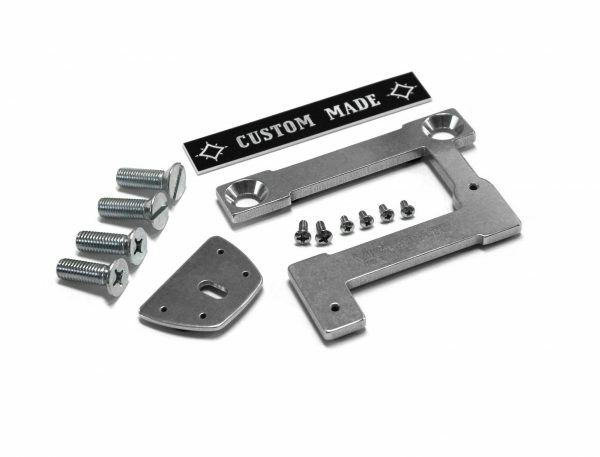 The Vibramate V7-335 kit includes our felt-padded Tailpiece Plate for mounting the Hinge-Plate of the Bigsby B7 to the Strap Pin hole at the lower end of your guitar. 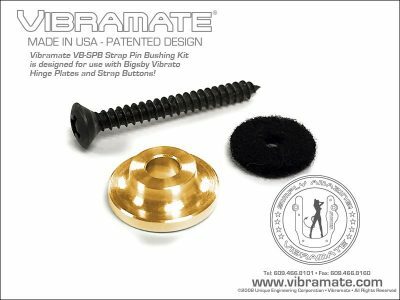 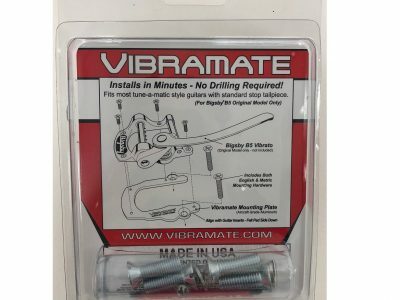 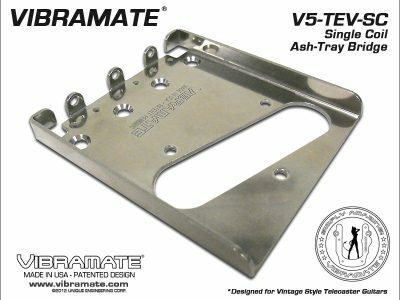 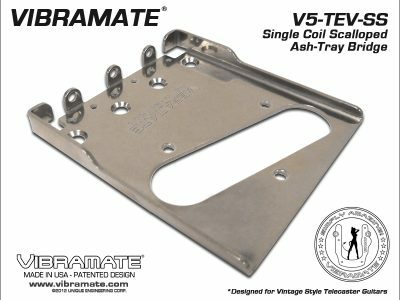 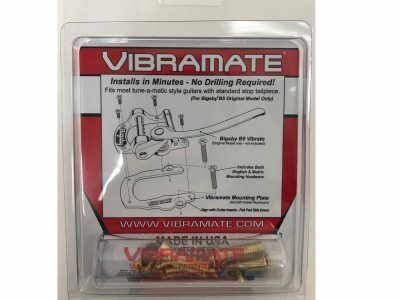 The Vibramate V7-335 kit also includes our “CUSTOM MADE” nameplate cover with adhesive backing that completes the kits classic installation appearance.